After making its first state final (Class 3A) last season, Long Reach High appears ready for another postseason charge. 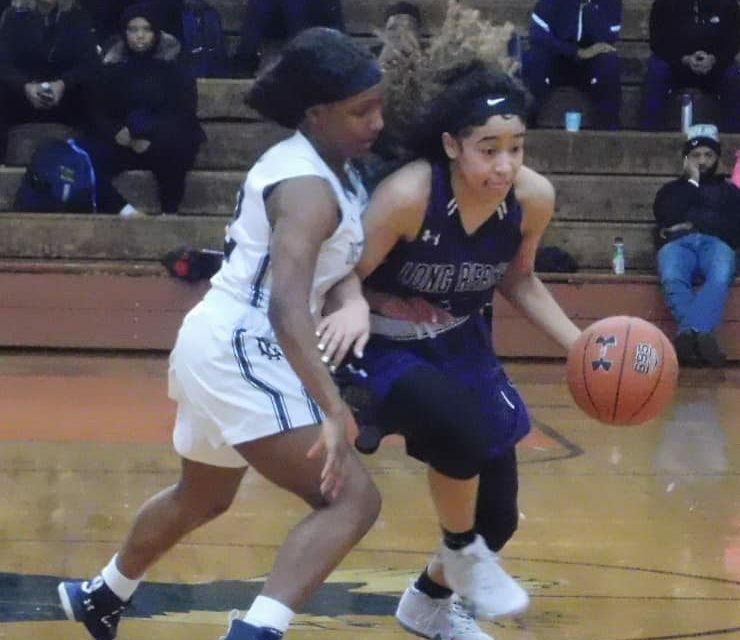 The Howard County school is back in the latest VSN Girls Basketball Top 20. Thanks to a 3-0 showing last week including a victory over then-No. 12 Reservoir, Long Reach (14th) has won six straight and nine of 10. The Columbia school is tied for first with Oakland Mills (Long Reach defeated Oakland Mills, 62-49, Jan. 31) in the HoCo standings. Roland Park Country School is again No. 1 as the Reds will try to claim their first IAAM A Conference title. St. Frances Academy, McDonogh School, Poly and Mount de Sales Academy completes the Top 5. Pictured above: Lyric Swann (right), who will play for UMBC next season, has helped Long Reach surge into a first-place tie in the Howard County standings. 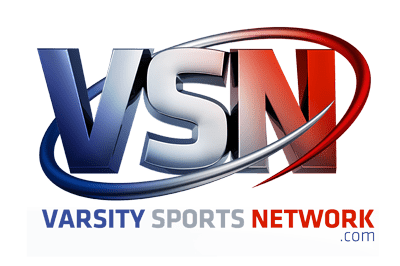 The Lightning have a second tour this season in VSN’s Girls Basketball Top 20. Last week: The Reds extended their winning streak to 14, defeating Institute of Notre Dame, 60-26, and St. John’s Catholic Prep, 64-48. Last week: The Panthers went 4-0, defeating Archbishop Spalding (58-36), No. 3 McDonogh School (50-44), John Carroll School (69-27) and No. 8 Western (75-60; Public vs. Private Challenge at Pikesville). Last week: The Eagles lost to No. 2 St. Frances Academy, 50-44, and defeated then-No. 6 St. Vincent Pallotti, 77-47, and John Carroll School, 52-39. Last week: The Engineers defeated then-No. 13 Forest Park (63-50), Reginald Lewis (68-6) and then-No. 17 City College (69-36). Last week: The Sailors extended their winning streak to 11, defeating Gerstell Academ, 56-14, and Severn School, 55-27. Last week: The Seahawks went 3-0, defeating Arundel (60-47), Glen Burnie (67-19) and then-No. 19 Severna Park (38-29). Last week: The Panthers defeated Archbishop Spalding, 60-56; lost to No. 3 McDonogh School, 77-47, and defeated St. John’s Catholic Prep, 55-53. Last week: The Doves won by forfeit over Benjamin Franklin; defeated Patterson, 58-8, and lost to No. 2 St. Frances Academy, 75-60, at Public vs. Private Challenge at Pikesville. Last week: The Panthers defeated Loch Raven (65-23) and Dulaney (79-50), and lost to National Christian Academy, 67-56, at Public vs. Private Challenge at Pikesville. Last week: The Lions lost to Mount Hebron, 55-52, and defeated then-No. 12 Reservoir, 64-50, and Atholton, 47-38. Last week: The Scorpions defeated Wilde Lake, 68-18, and Glenelg, 50-33. Last week: The Cougars defeated Indian Creek School, 53-41, and Mercy, 73-34. Last week: The Patriots defeated North County, 52-34, and Arundel, 60-34. Last week: The Lightning went 3-0, defeating Centennial (49-40), Mount Hebron (61-43) and then-No. 12 Reservoir (58-54). Last week: The Gators defeated Atholton, 67-49, after losses to then-No. 7 Howard (64-50) and Long Reach (58-54). Last week: The Foresters lost to No. 4 Poly, 63-50; won by forfeit over Benjamin Franklin, and defeated Carver Vo-Tech, 61-2. Last week: The Gators defeated St. Maria Goretti, 70-67, and Notre Dame Prep, 57-25. Last week: The Knights defeated Southwestern and Douglass (70-15), and lost to No. 4 Poly, 69-36. Last week: The Eagles defeated New Town, 52-41, and lost to Capital Christian Academy, 51-44. Last week: The Eagles defeated Bel Air (35-33), Joppatowne (61-53) and Fallston (54-40). Last week: The Bulls went 3-0, defeating Carver A&T (46-7), Milford Mill Academy (60-28) and Loch Raven (51-48).